Did an apartment security lapse contribute to the shooting of this young boy? Gunfire erupted outside The Breckenridge apartment complex in West Palm Beach Wednesday morning, June 21, 2017, reportedly injuring a 12-year-old boy. 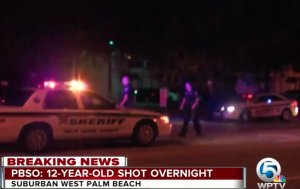 According to The Palm Beach Post, the shooting occurred “at about 2:15 a.m. at The Breckenridge complex west of Haverhill Road and south of Okeechobee Boulevard.” A “stream of gunfire” apparently sprayed several vehicles and buildings in the complex, shattering a second-story window and striking the young victim inside his home. He was transported to the hospital with injuries. Did negligent security contribute to this West Palm Beach apartment shooting? We represent individuals and families who have suffered a tragic loss or injury as a consequence of negligent property security. 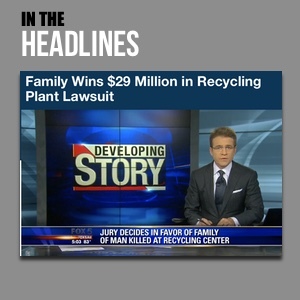 Read Our Legal Take below to find out if the young victim and his family may have a legal avenue for justice and claims for substantial compensation in Florida, or call now for a free consultation with our legal team: 888.842.1616. Apartment residents and guests have a right to feel safe and secure while on the premises. The Murray Law Firm questions the level of security provided on the property and whether this unconscionable shooting may have been prevented. Were any additional security measures, such as gated-entry and security patrols, implemented by the apartment complex owner to deter crime and protect residents, following media reports of prior criminal activity? Generally, property owners are required to protect all patrons legally on the premises from any foreseeable harm. Should the facts of this matter reveal that the apartment complex owner or management company failed to provide adequate security to protect those on its premises, the young victim and his family may seek justice and elect to pursue legal claims for his injuries.